A Holter monitor is a battery operated wearable monitor that continuously records the electrical heart tracings (known as EKG’s) over 24-48 hours. The Holter monitor can be worn throughout normal daily activities. The Holter monitor test is useful in picking up heart rhythm problems. In medical terms we call Holter monitoring a form of ambulatory electrocardiographic monitoring. Modern Holter monitors are small and easily wearable. Usually there will be 2-3 leads attached to the chest wall by stickers. After the wearing period is over your cardiologist reviews the tracings. 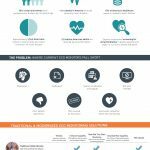 When is Holter Monitoring Used? The most common reason is palpitations. This would include sensations of skipped and extra heartbeats such as PVC’s. Another common reason is syncope, which basically means passing out. Other reasons may include monitoring heart rate to see if it is too fast (such as afib with rvr) or too slow, or to see if ongoing treatments for heart rate are effective. Some people may have conditions such as heart block that can lead to a slow heart rate, dizziness and passing out. Some people may have uncontrolled fast heart rates from atrial fibrillation or other forms of arrhythmia. Holter monitors can be used to diagnose and characterize these disorders. How is the Holter Monitor Put On and Worn? A technician who will provide you with the instructions needed and will attach the Holter monitor. Firstly the leads are placed on the chest wall, attached by stickers. In some instances, for men, hair may need to be shaved off the chest to allow good electrode contact. The Holter monitor is typically carried in a pouch and worn across the shoulders. In general patients can go about their usual day-to-day activity. Of course those wearing the monitors cannon swim or shower. It is also advised to stay away from metal detectors or large magnets. No, they are not dangerous. There is a very small chance of skin irritation at the site that the electrodes are attached to the skin. Wearing the monitor may be inconvenient since there are leads attached and it is worn continuously, but it is not dangerous. One of the most critical parts of the Holter monitor test is the patient diary. Patients are asked to keep a diary recording the timing and type of symptoms they have. These are then correlated with the tracings to see if symptoms and tracing abnormalities are related. One of the biggest issues with Holter monitoring is that patients often don’t keep an accurate diary that strongly limits interpretation of the monitor. Do Holter Monitors Catch Everything? Of course the monitor can only catch something if it occurs during the period that it was worn within. For that reason, Holter monitors are typically best for those patients that have symptoms almost everyday. If symptoms are less frequent then the Holter monitor may not be as useful. Often however they are still used as the initial evaluation. What If the Holter Monitor Doesn’t Catch the Problem? The Holter monitor can only detect issues that occur during the monitoring period. Often people will use the Holter monitor initially as it makes more sense from a technical and cost perspective. If the symptoms are less frequent, a longer-term monitor is the next step. Some Holter type monitors can be worn for up to 14 days. If long term monitoring is desired then there are non-wired monitors that can be carried around and placed on the skin when symptoms occur. That is not continuous though and only record when the monitor is placed on the chest. 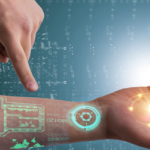 More recently there has been increasing use of monitors placed under the skin that can record continuously for up to 2 years. The Holter monitor is often the initial step, but there are many options available. My husband’s heart monitor showed that he had a heart rate of 820 during the night. Is that even possible? He said he slept well and felt nothing unusual. Could it be a monitor malfunction? Its an error by the monitor and not possible. Hi dr. Im having more frequent episodes where i feel like my breathing has been paralyzed in the diaphragm area…and as that happens my heart feels like it pounds out of my chest and i get disoriented and i feel like im gonna die. Its not an anxiety attack either. Could a holter monitor help? I was transported by ambulance to the er and my heart showed no signs of damage . But bloodwork showed low thyroid levels. Could that be causing my symptoms? Help!.. please. …and thank you. I would certainly advise some form of monitoring to characterize the palpitations. Would also recommend an echocardiogram and some form of stress testing if indicated. The thyroid should certainly be treated. I have the same exact thing! I’ve never heard anyone else describe it exactly as I would, I haven’t found the reason yet either. Following this to see if anyone has suggestions. It’s so scary, I literally feel like I’m about to die, just like you said. And it just happens randomly, no warning or anything. It’s been happening to me for maybe 7 years. I hope you find the answers you need, I definitely feel your pain. The holter monitor is likely to rule out an irregular heart beat associated with stroke known as atrial fibrillation. If it is found then you will be placed on a blood thinner. It is not common, but it is important to rule out in those that have had stroke or TIA. I am wearing a Holter heart monitor due to having some odd flutterings and missed beats that my doctor wants to see. Question: why does the monitor keep flashing the time? Is it recording an event when it does that? Seems odd and I am a bit distracted by seeing it tell me the time over and over again. 3 day test. All I can see is it says Midmark on it. When I google Midmark the one that shows up as theMidmark IQHolter looks like it. White with blue . Hi. I had a tia stroke nov 2016. In the hospital 3 days and nights. Doctors gave me all the tests and the were normal. But, My cardiologist wants me to wear a heart monitor for 6 weeks. Why is this? I would think it is to rule out atrial fibrillation, a common heart rhythm disorder that can be associated with TIA and stroke. I am a 53YO otherwise healthy F who had an episode of severe chest pain lasting about 2-3 hours, with development of sweating, nausea and dizziness about two hours in. When I became nauseous I went in the bathroom and upon looking in the mirror observed that I was a scary shade of gray (i.e., I looked dead). I became very dizzy and sat down, and after an unclear period of time (about an hour) it passed. I was out of town at the time so didn’t do anything about it, but was exhausted afterward. When I saw my physician about 10 days later, upon returning home, an ECG apparently had no abnormalities (QTc was 436ms), but a 48hr holter showed the results pasted below. A stress test has been ordered but not yet scheduled (in spite of numerous attempts). Mild occasional chest pressure (not sure it is severe enough to call it pain so I have not gone to the ER) has occurred since. Any information, advice, or suggestions are much appreciated. 2. Holter study demonstrated normal sinus rhythm with the heart rate range of 47 bpm to 140 bpm and the average heart rate was 77 bpm. There were no pauses seen. 4. There were 412 isolated polymorphic PVCs, 37 runs of ventricular bigeminy and 5 runs of ventricular quadrigeminy. symptoms of chest pain. 3 patient activations were recorded without symptoms. One diary entry and patient activation recorded leads off. Rare isolated PACs and PVCs correlated with diary and activations. 6. The monitor quality was poor. There are no stand out alarm findings on this monitor. You have findings that may be fairly common such as extra beats. The diary did not show a correlation between symptoms and any significant abnormality. An echocardiogram and a stress test are reasonable next steps. Where do the results get read and how long do they take to get read. My daughter had hers on on 28 December 2017, still no results. GP says they go to South Africa to be read…can’t believe it!!!! Hi I wore a heart monitor for 2 weeks. My heart dr said I had 300 episodes of atrial fibrillation. He did not order labs but prescribed potassium, 20-something, with 6 refills. My GI dr did prescribe labs thankfully. My PCP said I did not have atrial fibrillation. I feel my confidence is lacking with my heart dr. Any thoughts?? I have had a colectomy so I do go a lot but my labs were all normal. …..
Seek a second opinion, or see the original heat doctor and ask for an explanation of results and the discrepancy in the readings from the monitor. I am wearing irythem technology (a heart monitor) for 14 days, do you know any company or stores that i can go to that can project and the results from the monitor besides the company themselves. The monitors are not currently designed to be specific for the detection of blockage in the arteries however they are effective at characterizing hearth rhythms. In your case the reading does not show anything dangerous or concerning. Thank you for answering my questions Dr. Ahmed. I already followed you on Twitter. Hi my name is Katrina I am 38. I have DDD, cervical and spinal, stenosis and told rheumatoid arthritis markers, hypocalcemia plus other issues and a relatively faster than average heart beat even when I was younger and very active. I am a CNA and have worked this for a bit but until I was being weaned off gabapentin I had no issues with my heart. Although my father has CHF (congestive) and my aunt does as well. I mentioned to my doctor about my increased heart rate hitting 140 standing still then dropping to 92 which is where it is a lot. But my heart has felt as if it was jumping out of my chest. My blood pressure at beginning of docs appt is 140 to 145 over 90 to 96. Near end 102 to 106 over 62 To 66. Doc wants me to wear a holter monitor. I know it’s important for heart health and such but it’s kind of scary she says it’s just to have a baseline for later if I have problems down the road. Not sure if she is overreacting. Hope to God so. Hello Dr. I have recently started to experience fast heart beating especially with activities and sometimes without. Many blood work have been done and came back negative, stress test normal, Echo has minors issues as explained (Mitral valve leaflets are mildly thickened and Trace tricuspid regurgitation present), holtor monitor only showed 7 extra beats in the upper chamber and was told it is very normal, 2 X-rays and 3 ECG showed normal results as well within the last two months. However, I have been experiencing some palpitation and after a short exercise I would feel lightheaded and need rest right away. I had a lout of fluids and I tried many things. Some tests were performed at the ER since I went there on a panic attack experience. Now, I really don’t know what to do more? I want to make sure of my heart health and if possibly I could be having AFIB or some other issues that can cause a serious and sudden issues. It is keeping me worried. Please let me know what is your advise and what would be all the tests possible to make sure of the heart health %100? The good news is that the testing has turned out reassuring so far. My next advice would be to go see a cardiologist as an outpatient basis. A treadmill exercise test may be a good place to start since many of the symptoms seem to appear after a short exercise. I wore a holter monitor, once in June 2017 and now I August 2017. THe reason in August so soon after June was I was put on some GI medicine and felt like I was having palpitations and I started getting super anxiety. Can you help with my results? I have LBBB, but structure is fine and EF is 43%. Please help as doc just shrugged it off and stated your heart is good, but need to get your anxiety under control now. 1.39 seconds Max R-R 5:31 a.m.
To be useful, the times that you went to the gym and the times you were in tachycardia should be recorded in a diary and seen to correlate with the tachycardia periods. The referring dr should be able to look at the episodes and reassure you. What it the heart function on the echo? If you have left bundle branch block, some form of stress testing is generally advised particularly if the heart function is low. Treadmill stress in June fine, but the last two months is when all the changes. These episodes are constantly coming on several times a day. Doc says no concern. I feel palpitations and flutters sometimes and it’s uncomfortable especially during workouts. He says my new found anxiety is causing a lot of it as I don’t drink alot of alcohol, barely any caffeine (a diet soda a day), no meds, not overweight and heart structure is normal. Should I be concerned? Worried? Try another doc? Trying to be calm. My first holter I only had 10 ventricular and 9 supra ventricular. That was 2 months ago. What a big change. If you are concerned still see a cardiologist. if the cardiologist has reviewed the strip as described and isn’t concerned then you can likely be reassured particularly if other testing such as echo is normal. I had no ST elevation. ST depression on the holter monitor is not a sensitive finding and no conclusions can be drawn. I am a 68 year old female with moderate aortic regurgitation. Episodes of feeling dizzy and lightheadedness. Have bouts of extra beats as evidenced by holter monitor. I am very scared to the point of not seeing the doctor at all. Doctor wants to discuss in detail. Could this be nothing at all?? There are many causes of dizziness. In terms of aortic regurgitation its reasonable to evaluate and ensure it isn’t severe and also that other structures in the heart are normal. I wouldn’t be scared of seeing the Dr if i were you. The work up and evaluation for dizziness is basically non invasive and can potentially find a cause for your symptoms and improve your quality of life if treated. If indeed you only have moderate aortic insufficiency then no intervention on the valve is indicated at that point so don’t worry. I have a question in regards to a holter monitor but not sure if this is the right place to post but here goes. My mother whom had heart surgery had to wear a holter monitor afterwards for a period of 2 weeks. Is this something that needs to be done every six months or yearly? Or is this monitor used when a problem is presenting itself? Please help if you know! What was the reported reason for doing the monitor in the first place? I am a 32 yo Female. I started having chest discomfort in May. Went to ED twice. They told me my EKG was normal both times. The first time, the Dr told me no heart murmur. The second time I went, the Dr told me I had a heart murmur, so not sure which is the truth. They each sent me on my way both times. Went to my PCP the next day and had blood work done (I believe he checked my thyroid but not cholesterol. Thyroid was normal he said), chest X-ray, and a chest CT with contrast (to rule out blood clot and aortic aneurysm). All came back Normal. My PCP told me I could see a cardiologist if I wanted to, but he believed it was anxiety-related. A month or so later, I began feeling flutters, or palpitations. I workout about five days a week, I have always been super active. I eat pretty healthy. I rarely drink, maybe a glass of wine at night one or two nights a week if that. I drink a cup of coffee each morning, that’s about it. Not sure what this could be or if anxiety could truly be the cause of my symptoms. Would you recommend seeing a cardiologist to ease my mind? Please help, as I’m worried there could be something wrong with my heart. Thank you in advance! Good thing is that many immediately worrying causes of chest discomfort have been ruled out. I would recommend seeing a cardiologist to take a history, exam and reassure you the pain is not concerning. A holter monitor may also be used to characterize the heart rhythm and palpitations. Its worth getting checked out. Hello, I am 61 and last March was admitted into the hospital with a spiked BP (216/199 chest upper arm and neck pain. I was given every test possible and nothing major turned up. Also had a stress test 1 week later. Now 10 months later after having a tooth extracted within 2 hours post I started having a sensation in my chest and front of neck which made me check my BP /normal, So then I checked my pulse which skipped about 13 beats in a minute. Waitd through the weekend to see my dr on Monday and he wanted to put me on a Holter monitor but there is a shortage and it is now Friday with no monitor. I continue these long episodes several hours. I now have fatique in my limbs and this happens after I have been mobile or working so I know it is exercise induced. If I sit idle eventually it subsides. Should I go to the ER or wait for my dr to find a monitor. It is not possible to make emergent medical recommendations on the internet. If you are concerned please seek evaluation. Hello! From Sept – January I experienced loss of vision in my left eye weekly (always sudden total vision loss for around 2 minutes and then it would piece back together over the next three minutes until my eyesight was back in my left eye). I wasn’t too concerned, it never felt scary but after mentioning it to an optician she made me go see a doctor. My GP’s first thought was that maybe I have a hole in the heart, she thought maybe she could hear a murmur when she listened to my heart. She ordered me to wear a holter monitor for 24 hours and the surgery called me to tell me that the holter didn’t show anything. My GP is away for the next two weeks so I will see her when she’s back but I’m just curious as to whether a holter monitor would always be able to detect a hole in the heart? (I’ve also had blood test and a CTA, not just a Holter and it has only occurred once since taking low dosage aspirin daily and that was after I forgot it one time). That symptom is concerning, you should see a neurologist, a monitor to rule out afib, exam and tests to rule out temporal arteritis and assessement of head and neck vasculature. An echocardiogram with bubble study would be needed to rule out hole in the heart. Just a few questions.. Do doctors report a report that is “without abnormalities” if they see pvcs that are rarely occurring? Do pvcs typically progressively get worse over the years? Is there a way to distinguish between pacs vs pvcs based on how it physically feels/sounds via stethoscope? Thanks. Also, I never received a printout of a heart monitor report or results. Isn’t this odd? PVC’s that are infrequent are considered a relatively normal finding and seen on most studies. No it is distinguished by looking at EKG patterns. Hi There! I am a 48 year old female who had to wear a Holter monitor for 48 hrs. The report shows minimum heart beat of 38 and maximum of 134. I had 34 beats of ventricular ectopy and 203 beats of supraventricular ectopy. I had 4 runs of SVT with the longest run of 512,054 beats on day 1. What does this all mean? It all looks pretty ok apart from the 512,054 beat run of svt, thats almost certainly an error. Thank you for your response. I re-looked at my report and it showed 512,054. Do you think the report is wrong? Or could my heart have had this long of a run? I know the day it happened my heart was beating fast first thing in the morning and felt like it went fast all day and well into the evening. The doctors are talking about medication and/or ablation but they wanted me to do a 30 day event monitor to find out how many times it is happening. I have had my monitor on for a week and it goes off by itself anywhere from one to seven times a day. I have only hit the button twice since having it to record when my heart felt like it was bouncing all over the place. The doctors told me they set the monitor’s parameters to go off if my heart drops below 40 or goes above 140. Does this all make sense to you? Doesn’t quite add up, i suspect its artifact, make an appt to review the tracing with the prescribing physician. I had an event of heavy chest tightness with chills and nausea. Following, I had a couple of weeks of rapid resting pulse coming out of nowhere. I still have chest tightness and have a hard time sleeping. On my back or on my sides cause more tightness and sometimes electrical shocks. Cardiologist did an EKG and said I had extra beats from one of the upper chambers. He said it was nothing really to worry about. He said he didn’t think it was a blockage but ordered a 48 hour halter monitor and an echo. I am really concerned as the tightness is constant. It is also uncomfortable to look up. I do have a history of acid reflux and have been taking PPIs for a long time. I have an endoscopy scheduled for a month from now. I don’t really know what to do. I kind of feel like I am being blown off. No one seems to be all that concerned. I am almost tempted every evening to drive to the ER (if feels worse in the evening). Discuss with the cardiologist that you are having chest tightness that is concerning you. The nature of the pain does not appear to be cardiac which is maybe why the provider isn’t worried, (also they would have done a full visit with history and exam) however some form of further risk stratification such as treadmill or stress testing may be of reassurance given your ongoing concerns. You’ve shared sound info for anxious people wanting answers, thank you. I will ask one too. my heart starts to race at 2A, Pounding in my ears. I cannot go back to sleep. The only med I’m taking is Tecfidera 240mg 2X per day since 2.20/18 for MS (RRMS). I did see a cardiologist and took EKG, normal results. I’m thinking of calling office to schedule heart monitor. Good idea? What does this all mean???? Thanks for a reply !! It means you have some PVC’s, did they give a % of the PVC’s as in how many of the total heart beats were PVC’s. The findings can be discussed with the prescribing physician, why was it done in the first place? Been feeling knife-like stings on the left side of my chest lasting half a minute which worsens when i breathe deeply (did chest xray and traces on bronchitis are there). Woke up twice with burning sensation in the middle of my chest. Did stress echo twice scoring 13.6 ans 15.7 mets. All my ecgs were normal and holter report stated 52 ventricular ectopics and 1010 supra(1.1%) (holter put 6-8 months ago). A weeks ago i been in and out of the ER where i have been dizzy and have been suffering from muscle weakness. I exercise 5 -6 times a week (3 days lifting and cardio everyday around 1.5-2 hrs and yoga twice a week). In the holter monitor my HR reached a min of 40 while sleeping. Today my HR goes down to 47 or 48 at rest sometimes but mainly in the 50s. My Dr. said last we will do is eps but he believes nothing is wrong and it is all anxiety/panic attacks (affecting my bp for less than a minute). So, what do you suggest? 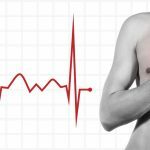 Is eps dangerous for the heart? Can it cause side effects afterwards? I have read alot about it where it seems bothering yet my cardiologist says its very easy. Thank you in advance. I currently have a wireless monitor that I am to wear for 4 weeks. The monitor has a screen that shows how many events are currently stored – automatically and manually, up to 20. It transmits the events wirelessly and automatically to the supplier/doctor. Should I be concerned if i notice the monitor is automatically storing events it’s captured on its own? What does it mean when the doctor say that I have a premature ventricular contraction of 3.5%. I’m also feeling lightheadedness and dizziness. What is the treatment for these symptoms. It means that 3.5% of your beats are PVC’s and whether they are the cause of your symptoms or not would depend on a number of factors including correlation between timing of symptoms and PVC’s. What does v ectopic 1 mean in a 24 hour holter echo. Hi what does st depression episodes mean on a 24hr holter monitor? my heart rate is always above 100 and I am 31 years old female. I eat healthy and I have never smoked nor drink. Never did drugs. In college, I was active but now since I have 2 children and work full time it is hard to find any time to squeeze in exercise. I do exercise with my children though, running around. However, it is exhausting. I am currently waiting for results for my readings and would like to know how long it takes? should I be concerned that my heart rate never gets below 100? there are times, when I am just running with my children it gets to 150. I did a blood test and all my levels are great! I got my results and for the 48 hour monitoring period… my heart was 80% tachycardia. There were a few rare SVE beats. What does that mean? There were some instances of SVPB. SVE a few of them, not concerning. the tachycardia, if the dr isnt worried may well be a response to pregnancy. My 7 days holter shows 1 event of VT of 2.6 secs. My cardiologist says ignore but neuro says investigate. Am confused. In general that’s known as nsvt and in isolation may not be concerning. If you want an opinion i would recommend seeing an electrophysiologist. I am 37 year old female that experiences slight left sided chest discomfort. 24 hour holter showed 1 ventricular beats <1%, 5 supraventricular beats <1%, maximum HRT rate 155, minimum 47, 14788 beats in tachycardia, 10607 beats in bradycardia. Supraventriculars 3 isolated, 1 couplets. Ventriculars (V,F,E,I) 1 isolated. My doctor is out of town for a week. The nurse called and read me the results but told me I won’t hear from my doctor until next week on what it all means. Should I be worried? I feel my heart race and slow all the time with the chest discomfort on and off a few times a day every day almost. The doctor covering for my doctor reported my results to me as totally normal. Is this ture? I don’t want anything to be wrong and want to be sure nothing is before I ignore my symptoms. 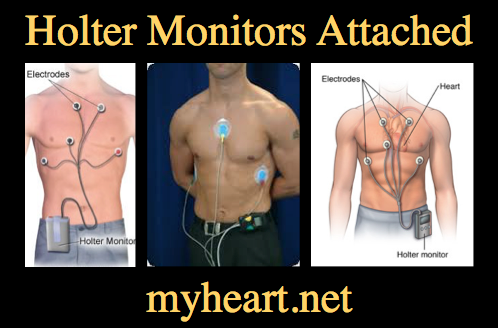 Your thoughts are very much appreciated on my holter monitor results posted previously. Have had boughts of fast heart rates just got the monitor results back and don’t really know anything about them yet other then my heart rate ranges from 57 to 157…Is that a relatively normal range or is that bad? Appreciate the input.